Need new apps for your favorite device? Here are 21 iPhone, iPad and iPod touch apps that just hit the App Store. 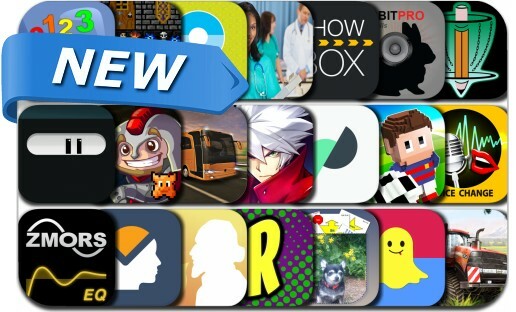 This new apps alert includes Heroes of Loot 2, Ninja Dude vs Zombies, Sharply - Brain Training, Dungeons of Chaos Unity Edition, BlazBlue RR, Voice Change.r, Rehearsal Pro, Pro Extreme Farming 2016 Multiplayer, Blocky Soccer, Emoji My City and many others.